I had been hearing the idea of forming a cooperative for i-cafés since early last year. Having no experience in cooperatives, I never gave it a serious thought until I heard the lecture of Mr. John Macasio, an ICT Consultant with diversified experience, on the benefits that a cooperative could give to i-café owners who will join such entity. The short lecture he gave during the I-Café Idea Camp enumerated the various advantages of having a cooperative among i-café members and the steps in organizing one such group. It may not be an easy task forming a cooperative for i-cafés but the benefits that it could give to the industry make it really worth working to have one that would cater to the needs of the i-café owners. Having said the above, let me now share to you what I learned from Mr. Macasio’s lecture and the things I have read so far from the Philippine Cooperative Code of 2008 (Republic Act No. 9520). The majority of i-cafés in the Philippines fall under the classifications of micro, small and medium businesses. Individually, i-café owners have no bargaining power on their deals with vendors in the industry. For their hardware and software needs, each one of them haggles for the best price from third or fourth level outlets of the distribution channels. Such situation could be gone if a cooperative among i-café owners belonging to the groups I mentioned will do the dealing for them. If handled right, the cooperative can negotiate directly with top level distributors and prices would be more advantageous for everybody. 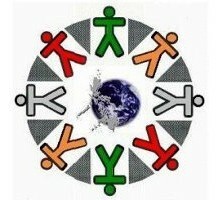 The possibility of an ordinary member of being disadvantaged in a cooperative set-up is remote. The provisions of the Philippine Cooperative Code of 2008 see to it that all members are equal. Each one is entitled to the same amount of share or investment and up to maximum of ten (10%) of the total share capital but have only one vote during election of officers and in making important decisions for the cooperative. The law have many safeguards on handling the finances of the cooperative as well on the decision-making of its directors and officers. I will write more about forming a cooperative for i-cafés as I find time reading the voluminous materials on the subject. Glad that I-Cafe’s are exploring the cooperative business model. Some refer to cooperatives as being part of an “alternative business enterprise system,” which is quite different from the usual business model that we are familiar with. It is interesting that R.A. 9520 provides for some 20 types of cooperatives. Pls. visit http://www.cda.gov.ph, the website of the Cooperative Development Authority for more information that could be useful in the creation of a cooperative. There are also blogsites on cooperatives, which include Cooperatives Philippines, which could be sources of ideas on how cooperatives are run.